PLACING AN ORDER: Muscle-4Life-Nutrition.com offers the convenience of placing your order 24 hours a day 7 days a week. The sale of certain supplements to minors is strictly prohibited. These include, but not limited to, any pro-hormone (andro or noandro based), and any ephedrine based products. Shipping will be via UPS Ground Service. In most cases it will take 3-7 business days (from the day your order is shipped, NOT from the day you order) for packages to arrive. Saturdays, Sundays and Holidays are NOT business days. Internet Orders received after noon EST on Friday will not be processed until Monday. 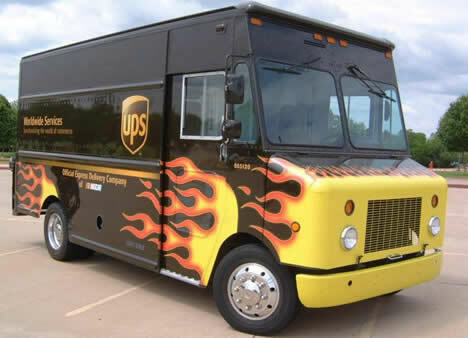 UPS does not pick up on Saturday or Sundays. Temporary back orders will delay shipments. You will get an email if some or all of your order is out of stock. After completing your order, you will receive a confirmation email stating that your order has been received. This does NOT mean your order has been shipped. This is just to confirm that we have received your order. Internet orders received before Noon EST are usually shipped the same day, except on very high demand items that are hard to keep in stock. The orders that cannot be shipped out the same day could take 3 business days to process before we can ship them out. If your shipping address is in Hawaii, Alaska, a PO Box, or an APO/FPO address, please email us for specific shipping prices. Be sure to include the products you wish to purchase as well as your full shipping address so we can determine the correct shipping cost. If we receive an order with an address in Hawaii, Alaska, a PO Box, or an APO/FPO address we will contact and charge the customer if there are extra shipping charges. Priority Mail® International Shipping: This is our standard, most economical shipping method. "Estimated" delivery time is 7-14 business days, there is no tracking available with this shipping option. We also offer Express Mail® International "Estimated" delivery time 2-7 business days. We also offer Global Express Guaranteed® which provides you with a tracking number. This is done by email. Just email Global Express Guaranteed Quote and list the items you wish to purchase. We will return to you a quote on the Global Express Guaranteed shipping fees plus an invoice to purchase your products with shipping included. International shipping charges will be based upon the package weight and the country of destination. Do not order items that are illegal to import into your country. Laws are different in every country and we cannot keep up with them all. It is your responsibility to check with your Customs office to see if your country permits the shipment of our products to your country. If the package is seized by Customs for any reason and we do not receive the package back, we will not issue you a refund. If we do receive the package back after being seized and the products are in perfect condition, we will credit you the product cost, but you are still responsible for the all shipping charges. After subtracting shipping charges to you and shipping charges back to us from customs we will issue a refund remanding balance. Make sure you enter the correct address. If shipment is undeliverable due to the customer entering the incorrect address the customer will be charged addition shipping fees to re-ship to the correct address. Prepayment is required. Payment must be by credit card, U.S. or International Money Order, or personal check drawn on a U.S. bank. Customer is responsible for any duties and/or taxes that may apply. We do not collect any duties and/or taxes from you and do not know how much they will cost you. Check with your own country. We report the exact amount of the sale on the Customs form. Please do not ask us to claim less than the actual sale amount. For a description of the package contents on the Customs form, we claim "Dietary Supplements - for personal use only". Please do not ask us to claim a "gift" or other incorrect description. We reserve the right to decline an order for any reason. Please understand that you are importing nutritional supplements at your own risk, and you as the importer have to take full responsibility for any item that you order. If your package is seized, that country may destroy the shipment, send it back to us, or collect the banned items and move the rest forward. If your shipment contains 1 banned item, we are not responsible if it gets seized; you are taking a risk by ordering these items. Realize International Shipping may take up to a month to deliver to your country due to custom delays. If for any reason the package is seized by Customs Officials, we will not issue a refund unless all products are returned to us in their original condition. If the package is returned to us by Customs Officials, the customer is still responsible for any shipping charges. A 20% restocking fee will be applied to orders returned by customs as "unclaimed." What about Military Orders: Apo, Fpo addresses? All Military orders are shipped by USPS Priority Mail. Depending on product availability and location, orders should arrive at your Military Address within 3-5 business days. Delivery time from the military address to you can vary. USPS provides delivery confirmation to military address only. Any damages or claims must be reported to us within 24 hours of receipt of the package. If the package is damaged, take the damaged package to the military postal unit and file a report. Keep the damaged product in its original box with the packing material. Contact Muscle-4Life-Nutrition.com within 24 hours of receipt of the shipment with the invoice number and product name. Return the damaged product and when we receive the item we will refund the shipping fee in full and ship the new product to you at no charge to you.